Enjoy this exclusive deal from 247tickets, up to 10% discount off the normal price! 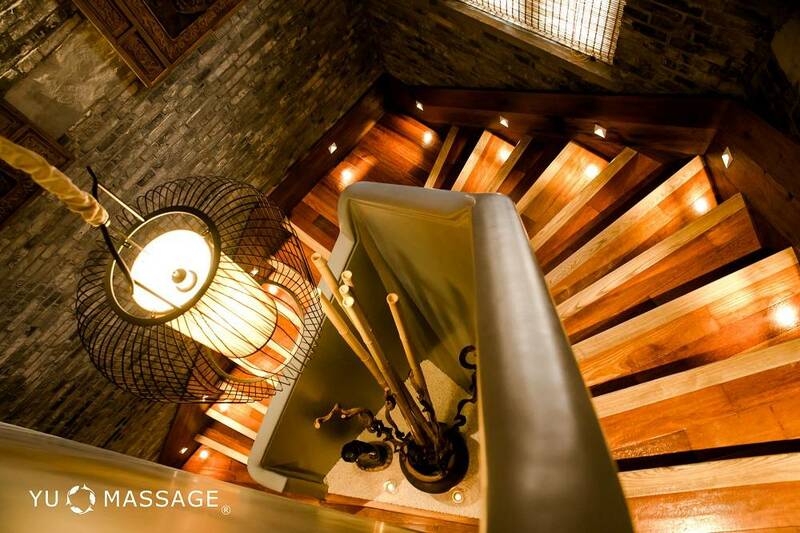 YU MASSAGE's philosophy integrates the senses of hearing, smelling, sight, taste, touch, as well as mind to create a perfect state of natural balance and harmony among the human body, mind, and spirit. As you enter the studio, you will be surrounded by soothing music, pleasant smell of natural flowers and aroma oil, elegant. Life couldn't be better when you experience professional massage, taste the carefully brewed jujube tea right beside a green Chinese courtyard. Aromatherapy has been quite popular among Yu's customers, featuring the four hands aroma oil massage, refreshing mind oil massage, hot stone therapy, lymphatic detoxification, Chinese main and collateral channels nursing, and mild moxibustion. English magazine <That's Shanghai> <City Weekend> <Time Out> has repeatedly interviewed Yu massage. 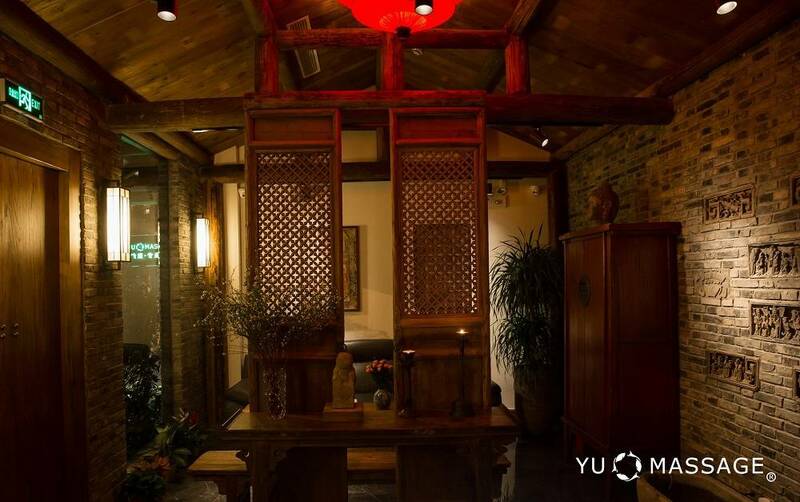 Yu Massage has been chosen as "2014 Best spa" "2016 top beauty and spa centre" by <Time out>, chosen as "the best spa service" by <That's Shanghai> in 2015, 2016 and 2017, and chosen as "2016 Outstanding Spa Honorable Mention" "2017 Editor's Pick Outstanding SPA" by <City weekend>. The lymphatic system is not only the biggest detoxification system in the human body but also a vital component of the human immune system. If the lymphatic system circulation slows down, toxic substances would accumulate in the body, giving rise to physical health disorders such as obesity and skin diseases. YU MASSAGE offers a unique solution called "lymphatic detoxification". With the help of aromatherapy, our SPA could get remove the toxic substances from your body, improving the circulation system and accelerating the lymph circulation. Our massage therapy is proven effective in weight-losing, skin condition improvement and immune system reinforcement. Do you suffer from a headache? Neck or shoulder ache? Stiff neck? These symptoms affect modern people every day, hindering relaxation and sleep. Maintaining your body's vitality is the foundation of a good health! The deterioration of one's health starts with his or her neck and shoulder. When meridians and collaterals are blocked due to poor circulation, toxins accumulate in the neck and shoulders, and are then transmitted to the head and face through blood circulation, resulting in headaches, dizziness, neck and shoulder aches, as well as muscle stiffness and soreness. To relieve these symptoms and improve your blood circulation, YU MASSAGE has created a treatment designed to drain meridians and collaterals from the neck and head. By adopting new techniques, YU MASSAGE effectively relieves pain, especially in neck, shoulders, and back, preventing shoulder periarthritis and cervical spondylosis. Lavender oil is perfect for treating insomnia, it is sedative and calming for the emotions and mind. It also helps to relieve chest congestion and muscular aches and pain. Restore energy and fosters overall well-being. 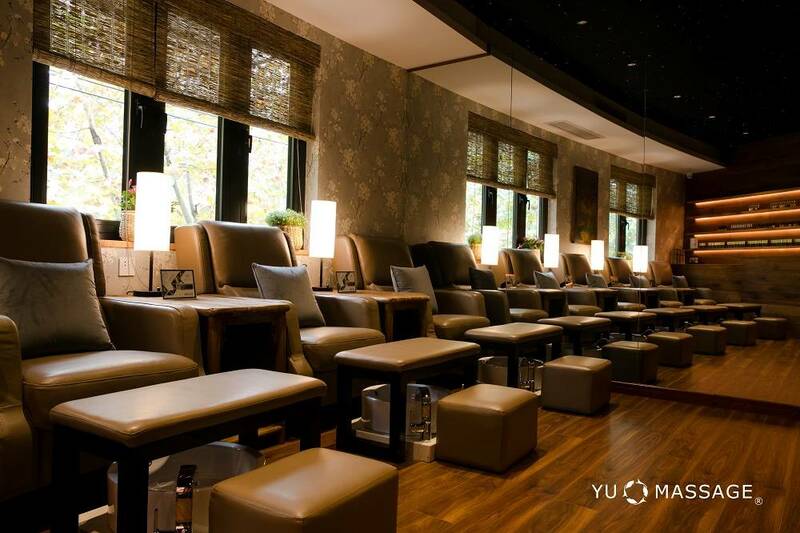 This is a special treatment that Yu massage sincerely presents you. It is done by two therapists at the same time, with four hands working on your body but feels like one person, experiencing the same methods from two therapists at the same time, getting a symmetrical feeling. Doubling the joy and pleasure.The intensity of massage movements used realigns muscles. Engages both hemispheres of the brain, encouraging more relaxation. Improves blood circulation so that more blood is sent to the muscles and tendons, reducing pain.